The Open for Business Awards celebrate communities that have created a business-friendly culture, allowing small business to flourish. Since the fall, communities the length and breadth of British Columbia have been receiving nominations. And, this year, 31 communities have presented case studies on one of their initiatives to the awards judges for review. After an intense period of deliberation, the Small Business Roundtable has announced the finalists. The City of Abbotsford’s Economic Development Department (CAED) is focused on two strategic mandates: Business retention/expansion and attracting investment. Everything they create and design is in support of their community’s growth, livability and desirability. Last year, they showed they were Open for Business by launching a one-of-a-kind, user friendly microsite. It provides business access to community demographics, mapping tools, site selection using MLS listings, comparison tools and an instant community profile infographic. Businesses who are new, expanding or interested in relocating to Abbotsford now have access to current, relevant data 24/7. This spring, Maple Ridge became the most “home based business friendly” community in the Lower Mainland by making it easier for new entrepreneurs to establish and grow their businesses by removing restrictions and streamlining inspection processes for home based businesses. Maple Ridge currently has over 1,500 home based businesses. The goal is to support growth in this sector by allowing new types of home based businesses to operate and grow by allowing them to increase their floor space, hire more employees, and to provide additional flexibility for businesses operating on larger properties. Situated on the Fraser and Nechako rivers, the City of Prince George is one of the largest urban communities in Central and Northern BC. 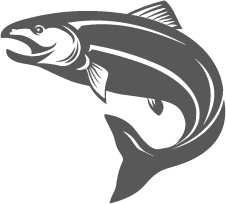 As a centre for healthcare and education in the surrounding region, Prince George is home to the University Hospital of Northern BC and the BC Cancer Agency Centre for the North, as well as a number of education facilities including the award-winning University of Northern BC. 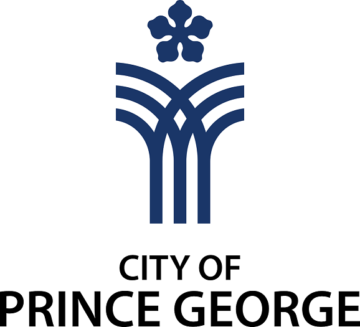 Amongst the front-running cities in job creation, Prince George has enjoyed near constant growth in the services-producing sector, construction, health care & social assistance; and with some of the lowest average prices in gas, rental, and housing of any mid-sized and larger cities across Canada, Prince George offers prospective residents and businesses a competitive edge in low cost of living. With its convenient location on Highway 3/95, Cranbrook is considered the gateway to Western BC, Alberta and the United States for the Kootenays. The city’s vision is of a thriving, diverse economy that accommodates and supports a broad range of businesses. 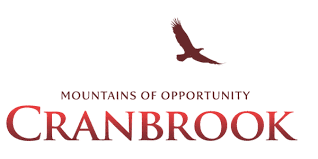 While predominantly a service economy, Cranbrook is seeing rapid growth in its hi-tech industry, manufacturing and professional service. City Council is dedicated to seeing this growth continue thanks to a red tape reduction program. Ladysmith Council has seized every opportunity to support and grow local business with its “open for business” strategic priority. After receiving the “Most Small Business Friendly Community Award” (Vancouver Island/Coast Region) in 2011, the town has been working diligently with local business champions (Ladysmith Chamber of Commerce and Ladysmith Downtown Business Association) and Stz’uminus First Nation to grow the area’s economy for the benefit of everyone. 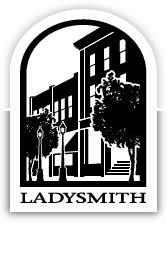 Together with regional partners, the new Ladysmith Economic Development Strategy was released in September. Its multi-year projects focus on the implementation of the award-winning plan for the waterfront, tourist attraction, promoting downtown and enhancing industrial land and business support services. Working with its regional partners, Gibsons led the creation of the Sunshine Coast Regional Economic Development Organization to coordinate the retention of existing business and attract new ones. The Town also co-led the establishment of the Gibsons Public Market, a major anchor to the thriving Gibsons Landing area. The town also oversees the management of Gibsons Harbour, which contributes significantly to the local economy and is home to dozens of marine-based businesses that generate close to fifty million dollars annually (2017 study) in direct/indirect revenue. Elsewhere, significant investment is also being made in land development, including recent approvals of a major hotel and conference center and several other housing and commercial projects, valued at hundreds of millions in investment and employment. A growing tech community is attracted by premium web access (fibreoptic), quality of life and relative affordability. The Village of Lumby has taken tangible and proactive steps to promote small business in the past year. Prime examples include tax exemptions for renovations and redevelopments of commercial buildings: the downtown core is in need of some improvement and the Village is creating the conditions to make this happen. The Village has streamlined the building approval process and accessibility to inspections as well as technical staff for pre-development applications and exploratory discussions. 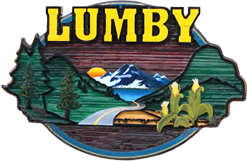 Efforts have also been made to recruit and encourage businesses to relocate to Lumby. They are extending infrastructure to the industrial area to help entice this growth and development. The Ucluelet Business and Employee Retention and Expansion Program was launched. It was designed as a business retention and expansion program, with a secondary mission to support local youth development. Over 100 employers were interviewed to get detailed insight into critical issues, to report findings, and to immediately support to keep local businesses in good shape and help them grow.